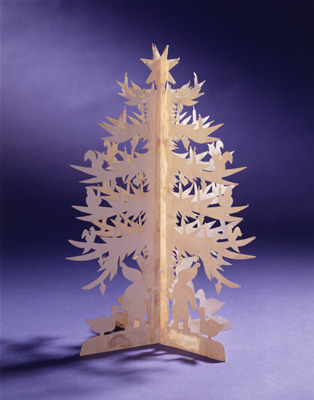 Christmas tree with top star – cut in two layers of papers, folded in the middle to make it stand. With a goblin and a goose underneath. Candles, birds, squirrels, christmas hearts and cones on the branches.